My husband & I recently had Scott and his team install a new solar hot water system on our roof in Bilpin NSW. We could not have been happier with the quality of the supply and install. 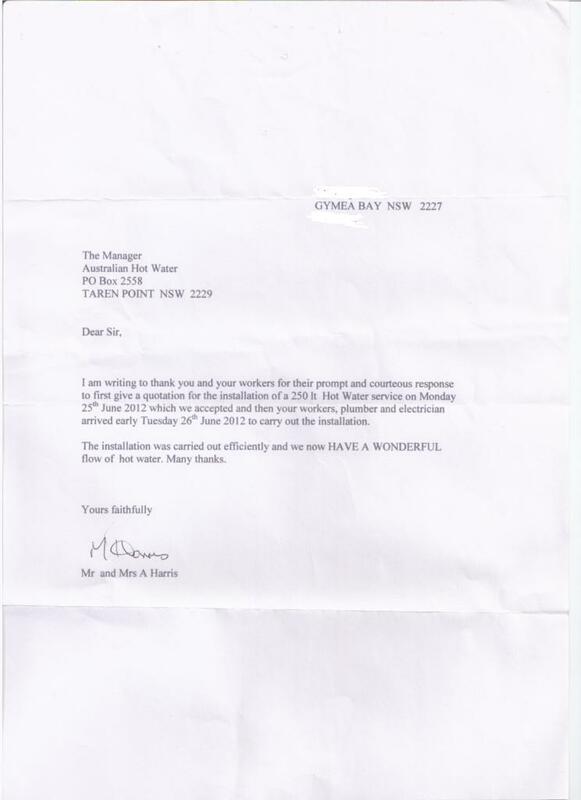 I am writing to thank you and your workers for their prompt and courteous response to first give a quotation for the installation of a 250 It Hot Water service on Monday 25th June 2012 which we accepted and then your workers, plumber and electrician arrived early Tuesday 26th June 2012 to carry out the installation.